What would have been a taut playoff preview one year ago between the North Marion and Scappoose girls soccer teams was nonetheless made for an exciting non-conference game on Sept. 12, as the visiting Indians pulled away in the final minutes for a 2-1 victory. Both teams entered the contest looking to remain unbeaten through the early part of the season. 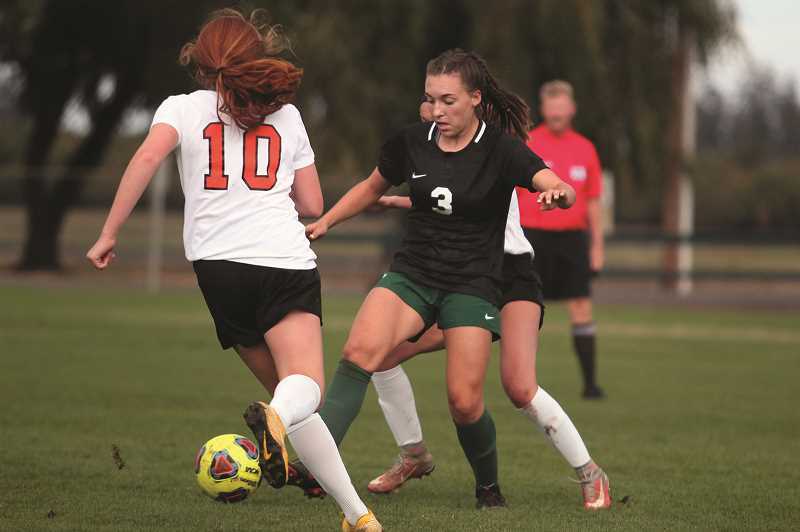 The Huskies (2-1-1) were coming off a 3-3 draw against defending state champion Valley Catholic the prior week, while Scappoose (3-0) was enjoying its best pre-season since going undefeated in its 2015 run to the 4A state championship. "The last two years we've had rough preseasons," Scappoose head coach Summer Jark said. "Last year we were 0-3, so this is a way better start. We're definitely excited about the season." The two programs each were league champions in 2017 that were eliminated from the 4A state playoffs in the quarterfinals. And while North Marion has its eyes on making a run at the 4A state title game this year, Scappoose is adjusting its expectations after bumping up to the 5A classification coming into this season. "I'm excited about that," Jark said. "If we made playoffs, that was our team goal. That would be good. Things are looking good, so we'll just see how it goes." The showdown between the two teams played out relatively evenly through the first half of competition. Scappoose enjoyed an advantage in total time of possession, moving the ball into North Marion territory and pressuring the defense, but the Huskies were able to respond through effective counter attacking, breaking up the Indian offense and driving the ball back. That led to the first goal of the game when sophomore midfielder Mya Hammack found senior forward Mar Verastegui open just outside the Scappoose box on the right side of the field. Verastegui struck a low ball across the goal to the back left side of the net to give the Huskies a 1-0 advantage in the 22nd minute of the game. North Marion's defense held through most of the half, driving off Scappoose's attacks until Huskies' goalkeeper Alex McArthur charged out to clear a ball in the 35th minute, leaving the net clear when the Indians' Lauren Whisenhunt poked the ball away from the defense for a soft lob into the goal to tie the game at 1-1. "It was just a miscommunication between (McArthur) and the defender," North Marion head coach Ben Bonser said of his sophomore keeper, who missed significant time during fall practices due to injury. "This is her third game back," Bonser said. "She played a good game (vs. Valley Catholic). Obviously getting back to more intense action — these two are probably two of the better teams we're going to see until playoffs." Heading into the second half, Jark wanted to neutralize the Huskies' offense by pressuring Hammack for the final 40 minutes, negating North Marion's primary playmaker. "That was kind of our plan the second half, we were going to man-mark her and try to slow her down, because she just sets everything up," Jark said. But just minutes into the second half, Hammack charged into the Scappoose penalty box and went down with an injury after she and an Indian defender came together on the ball. Hammack was carried off the pitch by the coaching staff and did not return to the game. Without one of the key cogs in its offense, North Marion was unable to maintain consistent pressure in its counter attacks in the second half and had difficulty making headway against the Scappoose defense. "She is the third main attacker, and without that, our attackers were really isolated out there trying to control the midfield," Bonser said. "We play a system that is really built around those players, and if you lose one of those players, obviously it's going to be really tough to adjust on the fly." As North Marion's offense struggled to maintain its same efficiency without Hammack, Scappoose took advantage and launched into a late-game charge that kept the ball consistently around the Huskies' goal. 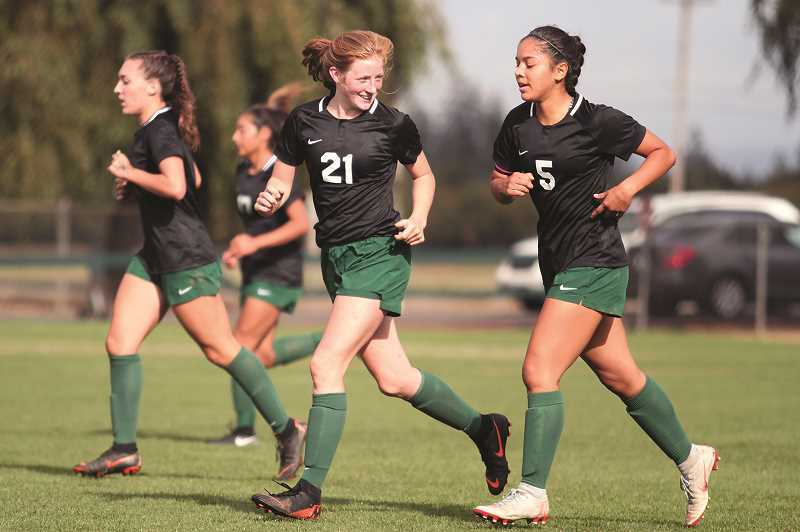 As goal opportunities continued to stack up, the Indians finally found pay dirt in the 74th minute on the game-winning strike from sophomore Tessa Davidson. "I think our fitness shown through," Jark said. "I think the last 15 minutes, it looked like they were maybe getting tired and our fitness kicked in." With North Marion's preseason schedule in the bag, the Huskies will turn their attention to the team's league opener against the Molalla Indians (0-3) on Monday. 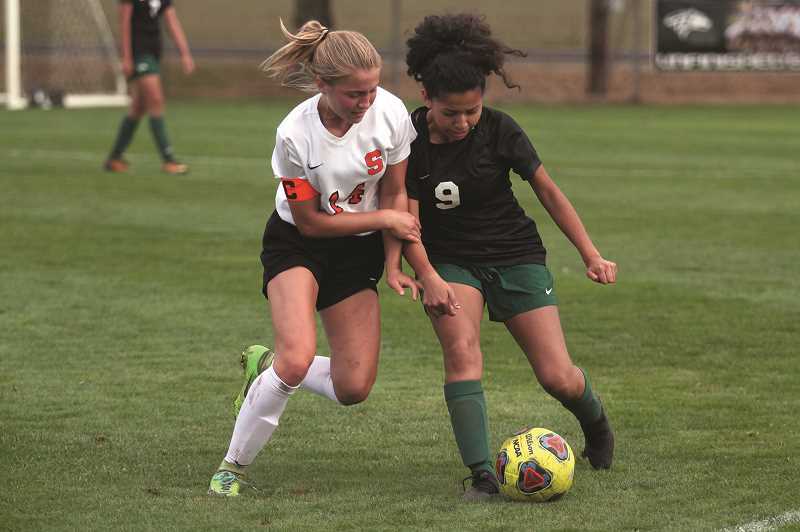 Meanwhile, Scappoose was scheduled to continue its non-conference slate on Thursday against Oregon Episcopal (3-0), the 3A soccer power that has won six of the past seven state titles at the 3A/2A/1A level. "They're unreal," Jark said. "They're putting up some numbers."